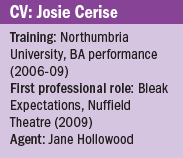 A professional actor for five years, Josie Cerise has played on stages ranging from the Lyric Theatre in the West End to regional venues including York Theatre Royal and the Nuffield in Southampton. 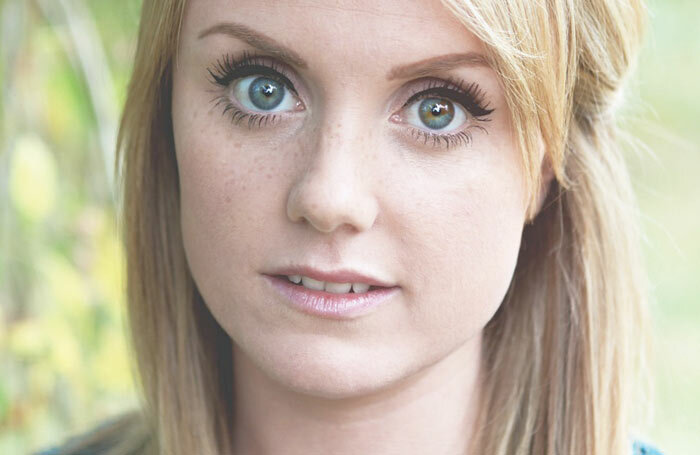 Her next role as the Artful Dodger in Dukes’ production of Oliver Twist requires no stage at all, as it will take place in an outdoor park in Lancaster. Do you rehearse the show inside or outside? There’s a bit of a mixture of the two. It tends to be on the sunny days we’re inside and the cold, windy days we’re outside – Sod’s Law in the planning. But we’ve had some lovely days outside in the sun and Williamson Park is spectacular – it’s one of the most beautiful views I’ve ever seen. I think it’s one of our enemies actually, because we have to make sure that we keep the audience watching us rather than the beautiful scenery. Will performances be cancelled if it rains? Come rain or come shine, the show must go on. We do rehearsals – one in mind for wet weather, one in mind for dry weather, so I think we’re really prepared for that. I’ve never done an outdoor park show before, but I’m working with a couple of actors who’ve done Dukes’ park shows. And from what they’ve said, the actual rain is something that adds to the performance, because there’s that whole sort of British war mentality: the show must go on. And the audience really gets behind you. Sometimes I think it can make dramatic moments even more dramatic, and when it’s unpredictable, I think people enjoy that. Do you feel any pressure acting in a role originally written for a man? No, I don’t. I think these days us women are doing it all the time, aren’t we? Maxine Peake – she played Hamlet as a man, I know – but there isn’t as much of a judgement from audiences these days, they’re a lot more open to those kinds of things. I don’t worry about it – with any role, whatever role you take, you want to do the best you possibly can. I think I was always a show-off as a kid, as probably all actors were, and just enjoyed the limelight. And I did lots of dancing as a child – growing up I realised that I preferred the bits in the dance shows where we got to speak. None of my family are from the arts, I was one of the ones that was doing something a little bit different. So I didn’t have any contacts in the industry or anything like that. It’s always been through the school system. I went to college and then university – I couldn’t afford to got to drama school, no way. Did you find it a challenge not to have a drama school on your CV? Yeah, I did. I still find it a challenge, I think. I’m not a casting director, I don’t know what they think. I get certain auditions, but it might not be to do with that…you never know whether that could give you more of a chance. Sometimes I think I’d need that kind of accreditation to get through the door… I don’t know. I’m happy with the work I’m doing and I’m really lucky.